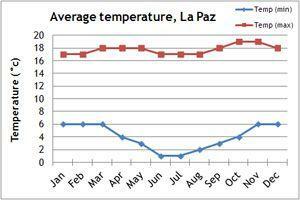 Our climate charts will give you a guide to the weather conditions of Bolivia. 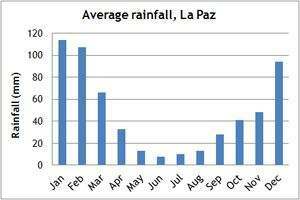 The rainy season spans from November to April, when trekking and transportation can become difficult, particularly in the lowlands. The Andes is not so much affected, and can be very beautiful at this time as the parched altiplano is transformed into wildflower and grassland. We consider that the best time to visit Bolivia is during winter (May to October) as the days are clear and dry, so the mountain views are spectacular. If you can't make the dates of our group departures, then take a private departure on dates to suit you, or we can create a Tailor Made holiday to Bolivia, especially for you and your family or friends.